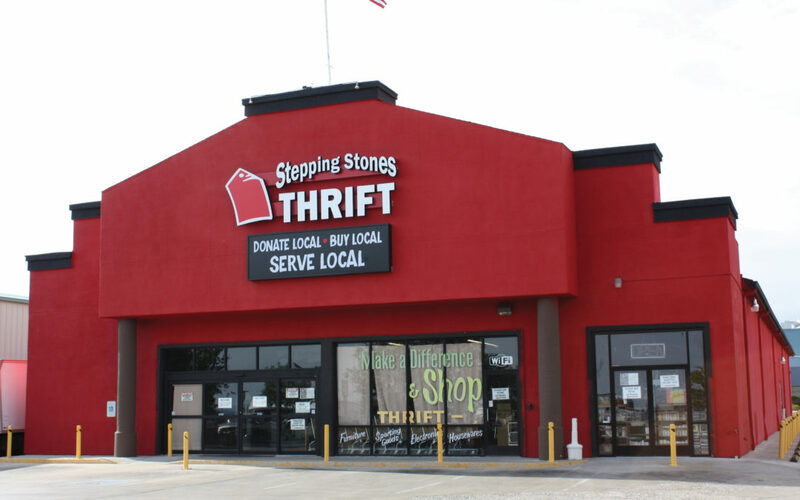 Check out these special sales happening in April and May at Stepping Stones Thrift Stores! You can shop these sales at any of our three locations. Click here for hours and locations. Want to stay up on all our sales & events? Follow us on Facebook and sign up for our newsletter! 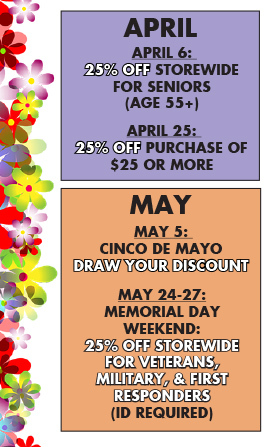 May 24-27 – Memorial Day Weekend Sale: 25% Off for veterans, military, and first responders (ID required). Would be helpful if you could publish on your website donation days and times and also how to find info regarding pickup (schedule dates and what areas) for large items. Additionally, there is information on that page regarding donation pick up – because our schedule changes, it is best to give our donation center a call at 928-759-0225 to learn more about the current pick up schedule.